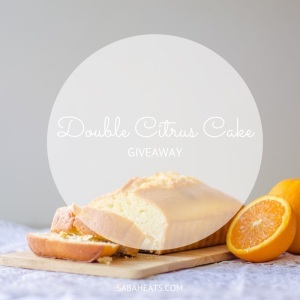 Home giveaway Omma’s Oven Double Citrus Cake Instagram Giveaway ! @ommas.oven is launching Double Citrus Cake and 5 Winners will win a prelaunched Double Citrus Cake each! Double Citrus Cake a classic combination of lemon and poppy seeds which makes this moist and tangy cake perfect with a cup of tea. 4.Tag 5 of your friends on the photos. top 5 Photos with the most like on Instagram will win a Double Citrus Cake!